I finally got a big aha moment on the Lean method that makes everything click. It's at this point where one glance at this ordered list, I made the connections and saw how to implement everything. Let me explain. Write down how you think (read:guess) your business will work using the framework of the business model canvas; everything from your value proposition, who you think are your customers, how you plan to earn money, etc. This canvas will keep track of your guesses and we all know the power of writing things down and the clarity it brings. The next step is testing out these key ideas. Mingle with your prospects and/or customers to see what you got right with your business model. is your value proposition attracting people? are customer segments really buying your stuff? 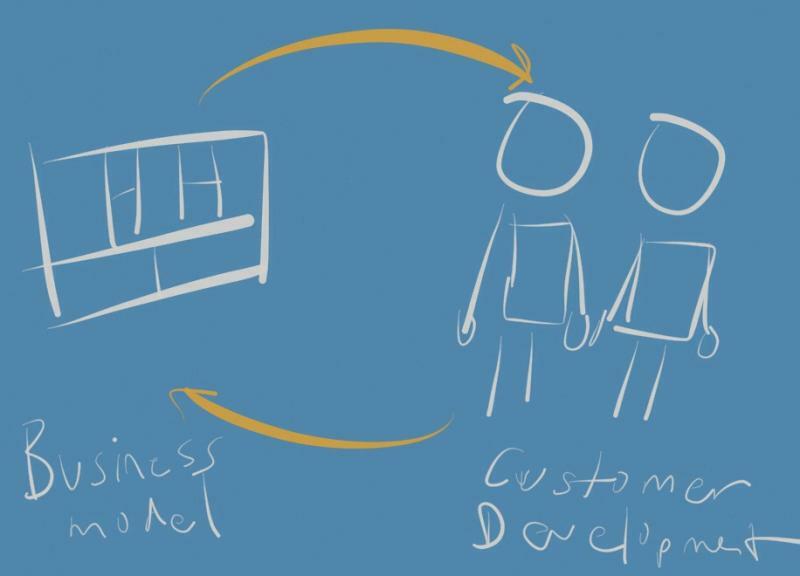 is how you're delivering your product/service viable? In other words, what's working and what's not working? Lastly, scratch out your guesses that turned out wrong, update your business model canvas (which acts as a scorecard) and replace with a better guess based on what you've learned from going out of the building. The whole point of repeating this loop is to be sure that your business model is based on reality. i.e. there are no longer any guesses. They are verified.. You want to be fairly certain that the people you're advertising to want what you're offering, you know the best place to grab new customers, what are your costs, etc. Once you achieve this point, you're no longer a "startup". You've found your business model and now you enter the phase of trying to grow as fast as possible. Funnily enough, after writing this, found this other useful video that is a great primer.